Tomorrow at Sole Repair there will be a neighborhood get together for people to learn more about 12th Avenue Arts. 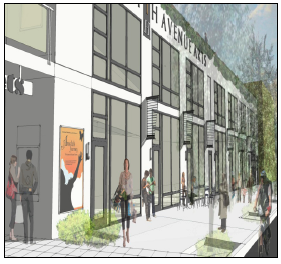 This project of Capitol Hill Housing will transform an East District police parking lot (pictured below) into a mixed-use development with affordable housing, community meeting space, retail, arts space, and underground parking for police vehicles. For years, Capitol Hill Housing has been working to make this project real, and back in June it was officially announced. We’re excited to hear the latest updates. We hope to see you at Sole Repair tomorrow. And, it will be a chance to have a drink with Tim Keck and Jerry Everard! CHS reported that the first public design meeting for the $38 million project is slated for October. In June, Capitol Hill Housing’s Chris Persons said financing for the project must still be secured. The executive director said he expects a mix of sources to be put into play to pay for the development including tax credit, levy dollars, state programs and some commercial bank loans. He also announced that the 12th Ave Arts capital campaign has already received its first donation — $500,000 from an unnamed Seattle foundation. 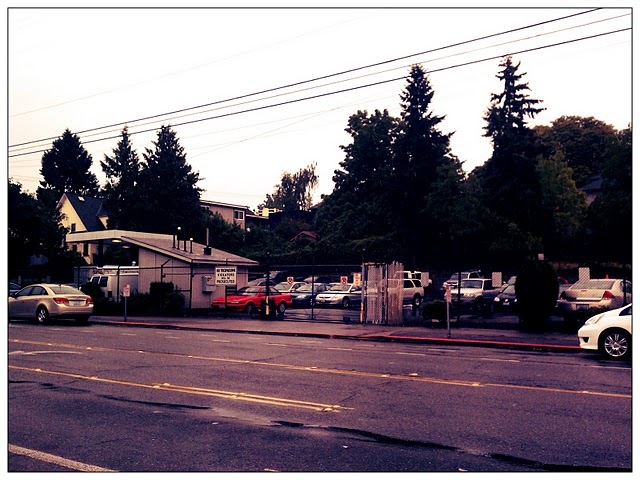 Friday night, there’s another opportunity to support Capitol Hill Housing. The Omnivorous fundraiser at Century Ballroom will feature hors d’oeuvres from a variety of the Hill’s best food and drink purveyors including Anchovies & Olives, Café Presse, Fran’s Chocolates, Lark, Marjorie, Molly Moon’s, Monsoon, Oddfellows, Poppy, Poquito’s , Skillet, Spinasse/Artusi, Spinasse, Stumptown Coffee, Tango, Terra Plata, Zoe/Quinn’s and more. Tickets are $75 + a $4 fee per person.